Android continues to win the OS platform war over apple with 75% market share. iOS is a distant second at 17.3%. Windows Phone tripled its market share year-over-year now claiming the number three spot behind Apple and Android. According to the latest IDC report Windows phone sold 7 million units in the first quarter of 2013. This allowed Windows to claim a 3.2% market share. Windows Phone future looks promising. Window’s primary phone partner, Nokia, is responsible for 79% of Windows Phone sales. As Nokia transitions its 14.8% market share to an all-smartphone lineup, Windows Phone will be a clear beneficiary. In stark contrast to Windows Phone growth, Black Berry’s market share slid to 2.9% – less than half its share just one year ago. Acceptance of the company’s new Blackberry 10 platform, released earlier this year, will be a key driver in the company’s future. The recent release of iOS7 to developers showcases revamped visuals and streamlined access to the controls users access daily. Airdrop allows local sharing to other iOS7 devices, multitasking has been improved, Siri expands her usefulness, and the App Store can now suggest apps relevant to the user’s location. 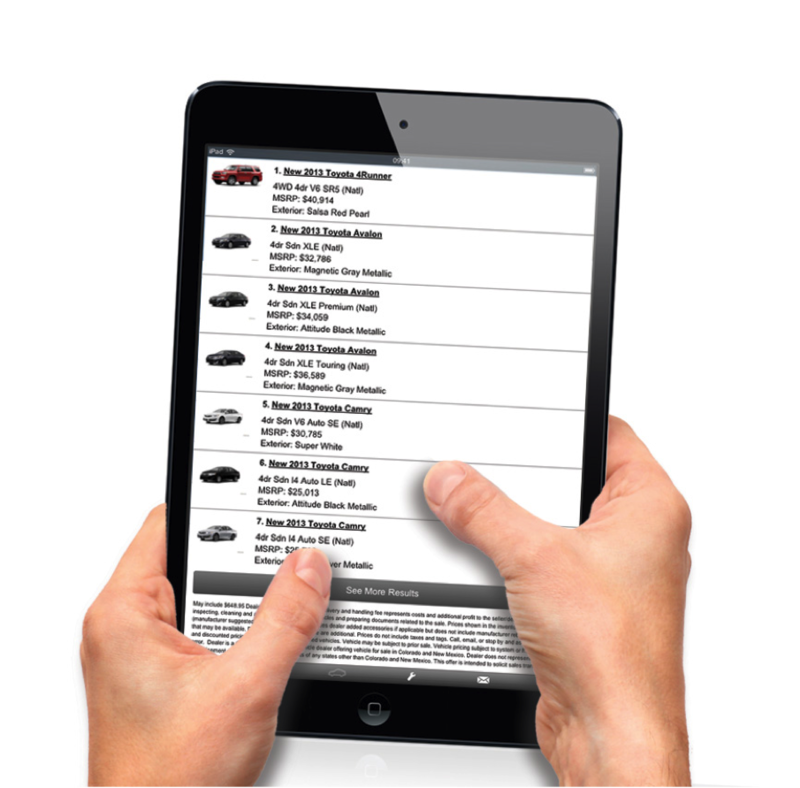 How has mobile impacted your dealership so far in 2013? What percentage of your total web visitors are now coming from tablets and smartphones? How many of your customers are using a mobile device while visiting your store? How has your dealership embraced mobile? Selling cars has not changed, but it’s weird how people think the basics no longer are relevant. That’s funny because I work at a used car store doing 120-150 units and I disagree you need an APP when a “Responsive” website can achieve the exact same desired effects on all devices – with infinitely greater flexibility – in real time, and cost containment. Across the country, the number is 40-50% of site hits come from mobile/tablets, but it’s also hard to find analytic you can really trust 100%. Many of those “lookers” do so again at home or at work on a PC/Mac. But this number doesn’t mean you need an APP and gotta hop on the bandwagon. My apologies and I know you run an APP business, don’t want to talk down your business, but for purpose of an analogy: why buy two jackets, when the one that works in all conditions is reversible? There is a new trend and paradigm coming and it’s not APPS, it’s Responsive websites. I’m not looking for an agreement, just saying what we know to be true, and working for us. Ben, thanks for the post around all the recent mobile stats. Great info!! We always look forward to your posts. “The average iOS user http://www.telegraph.co.uk/technology/news/10095401/Android-apps-to-overtake-Apple.html ” – That’s crazy!! But I believe it. If there’s an app available (and it’s a feature rich app), I would personally rather download the app vs using the mobile version. Example: I’m a heavy user of the Amazon app. I actually find it just as easy (if not easier) to use and purchase on as the full web version. I never visit the mobile site since I have the application and the app offers much of what I need to do what I want to do – search, buy, look up and track previous orders. We have had the discussion here in the recent past on DealerRefresh around the increase of mobile traffic and the importance of having a stellar mobile presence. Extremely important as these customers on our mobile sites by phone are low in the funnel. Jump in and share your stats with the community.